LG has announced the latest V30 earlier in IFA 2017 Berlin which has impressed many with its Dual Camera power capabilities over the new Samsung Galaxy Note 8 and once again you will be impressed by its pricing because it will impressively retail quite less compare to Safe Galaxy Note 8. At the time of Revealing, the company had revealed all the necessary details but didn’t wrap out LG V30 pricing but now LG might have accidentally revealed the pricing of the smartphone in European markets. 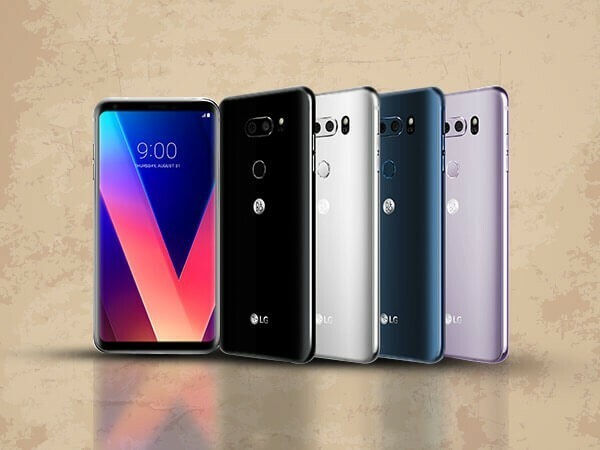 LG had announced a V30 giveaway contest in the US and the smartphone was reportedly listed in sweepstakes for an “approximate retail value” of $749 (approximately Rs 50,000). The report claims that the device could be expected at a price of $800 in the US after taxes, making it considerably cheaper than primary rival Samsung’s Galaxy Note 8 which goes on about $930 (approximately Rs 59,600) in the US. According to phonearena reports, a Romanian e-commerce platform named Quickmobile has the LG V30 listed for RON 3,999 (approximately Rs 65,000) along with taxes includes. The website claims to be taking pre-orders of the smartphone. Taking the Romanian price along with taxes in consideration, the smartphone is likely to price around 800- 900 Euros ($954-$1000) pretty much on higher side. LG is expected to soon release the smartphone in global markets including India. The V30 comes with 6-inch QHD+ FullVision display, Snapdragon 835 SoC, 4GB RAM, 64GB storage and dual camera setup boasting f/1.6 aperture. The V30 also packs in Bang & Olufsen audio and IP-68 dust and water resistance certification.